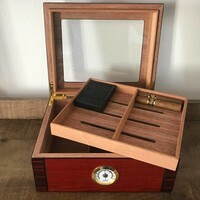 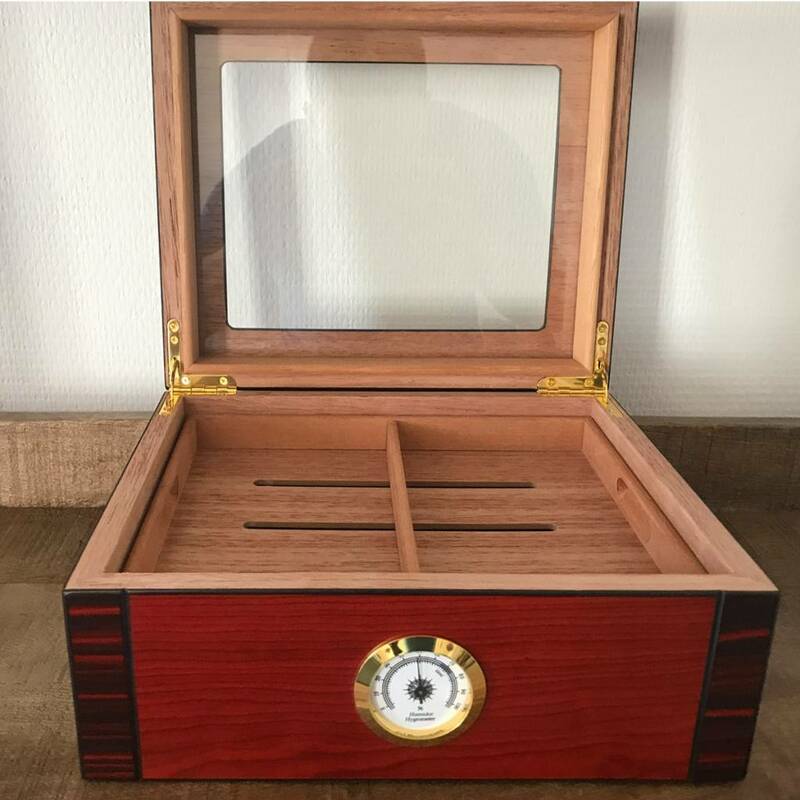 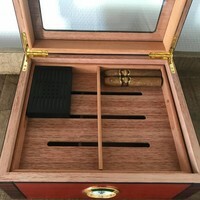 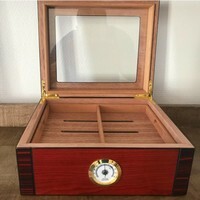 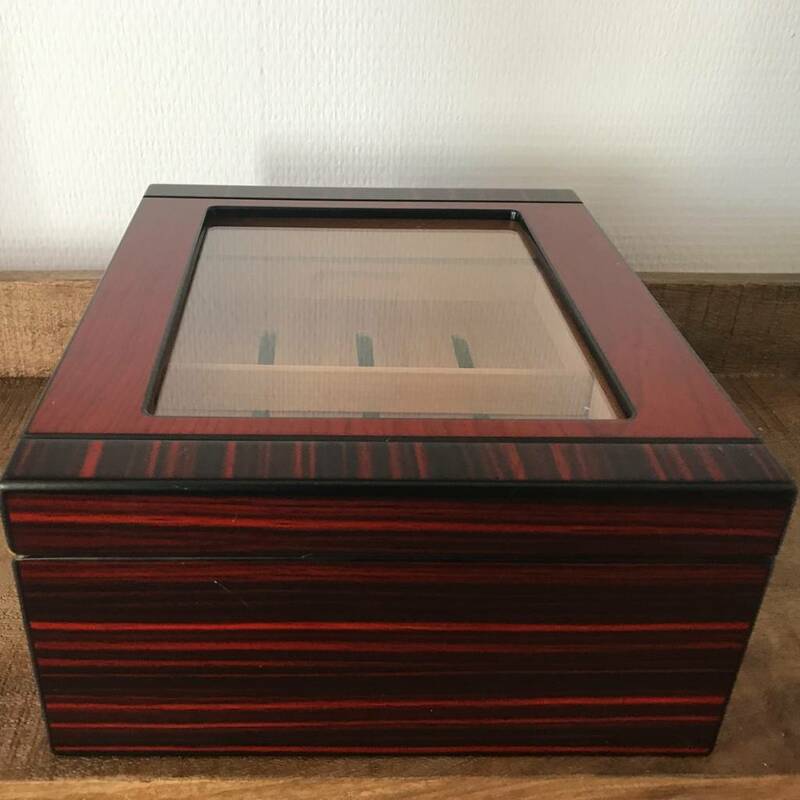 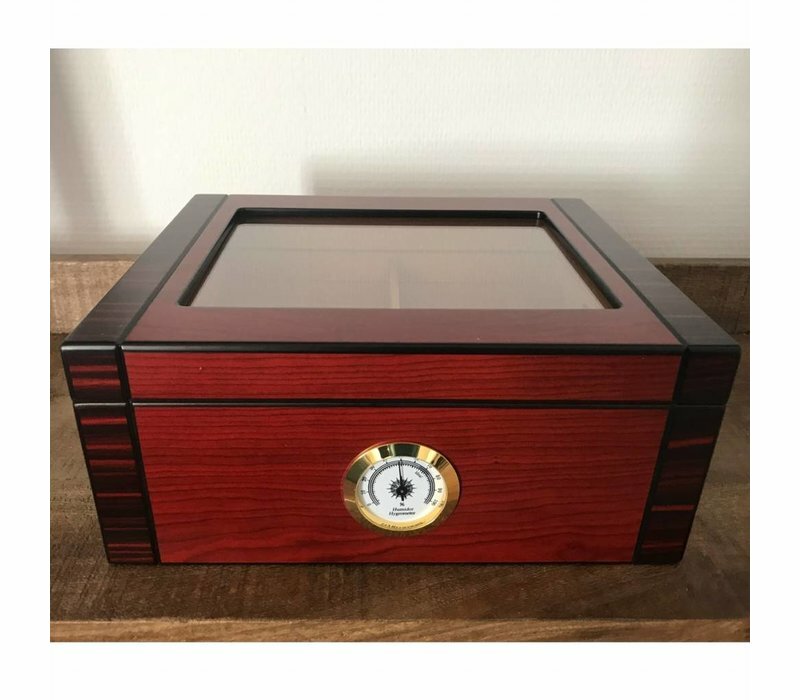 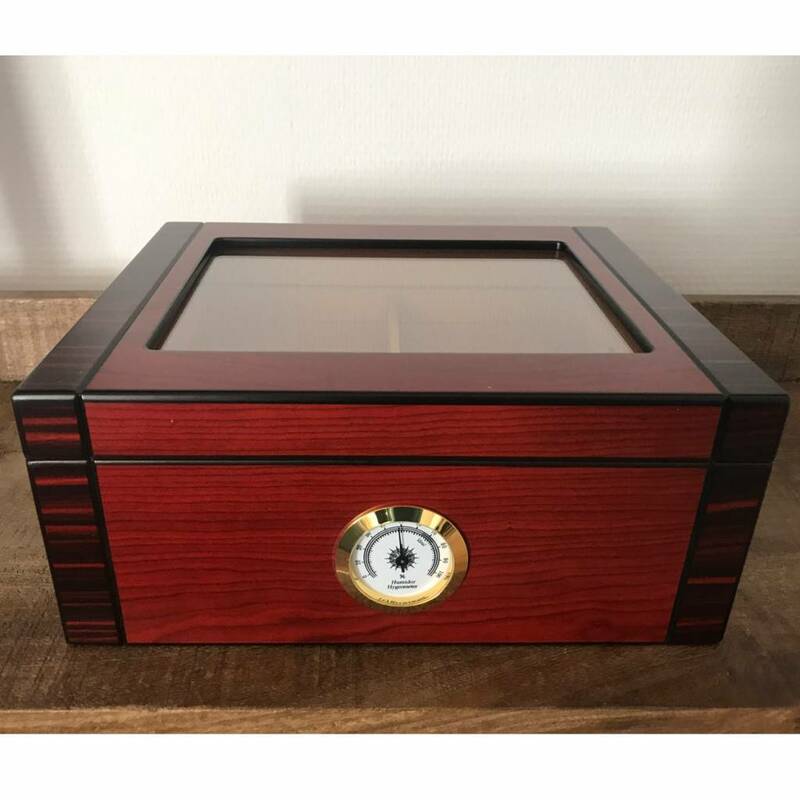 The Humidor Boss Cherry is a beautiful, brown timeless humidor with polished wood,. 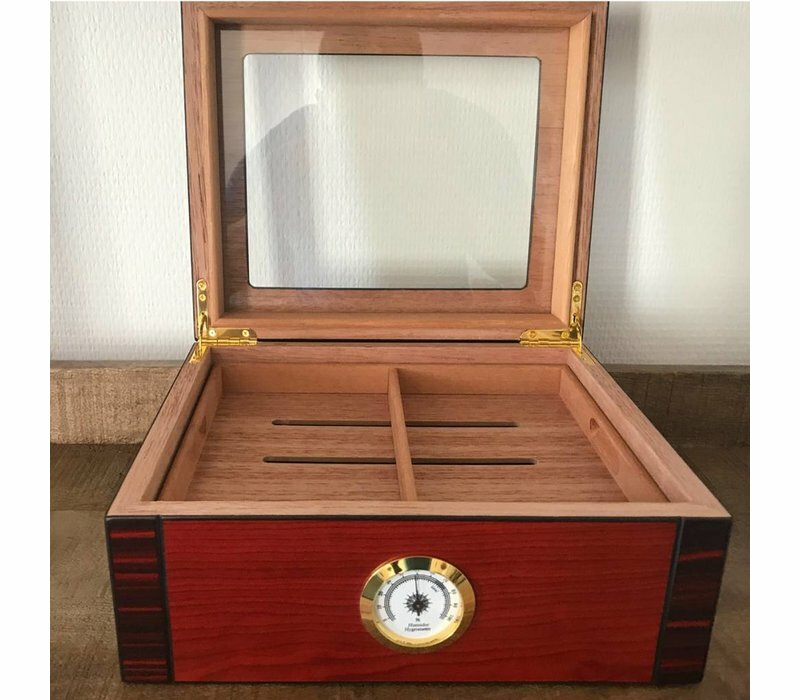 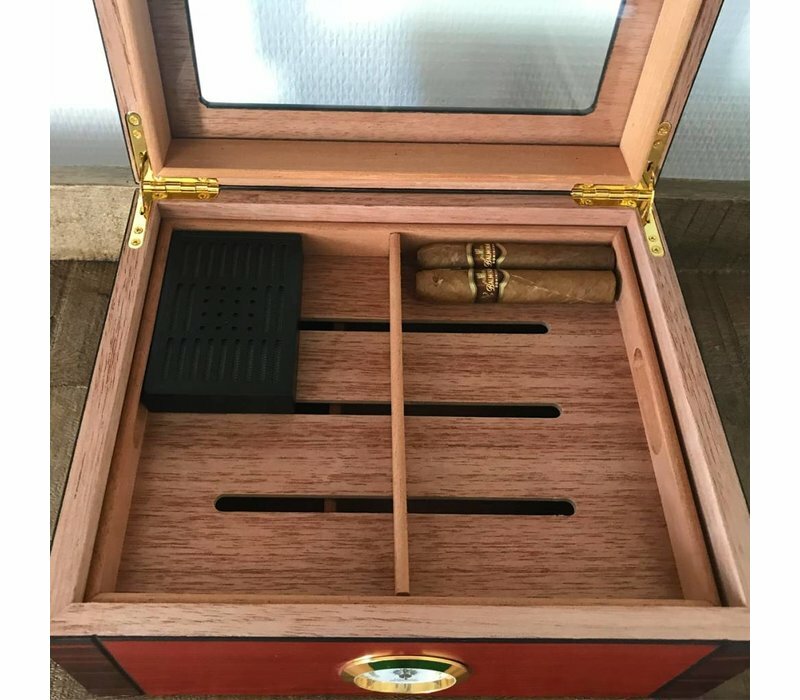 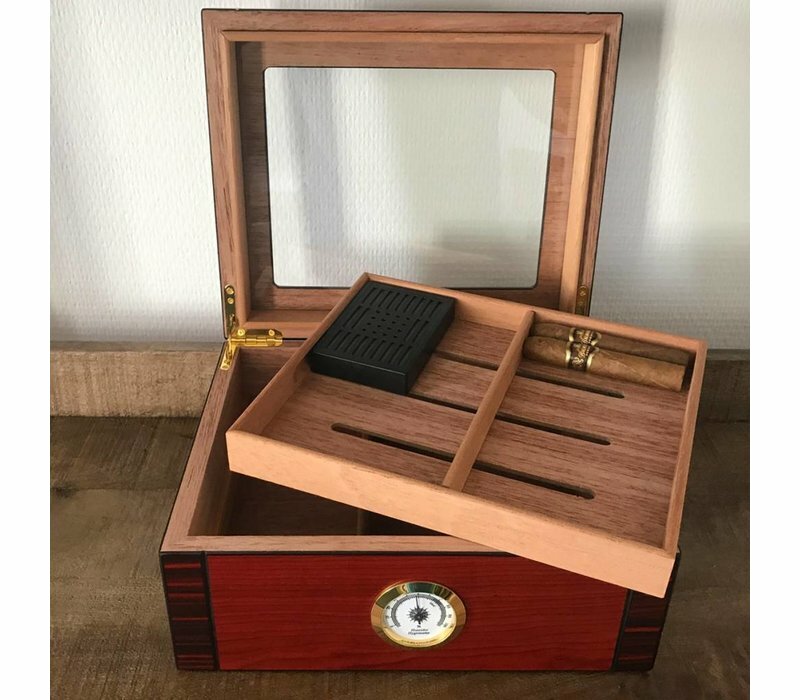 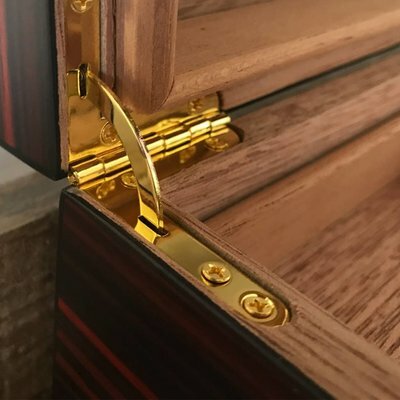 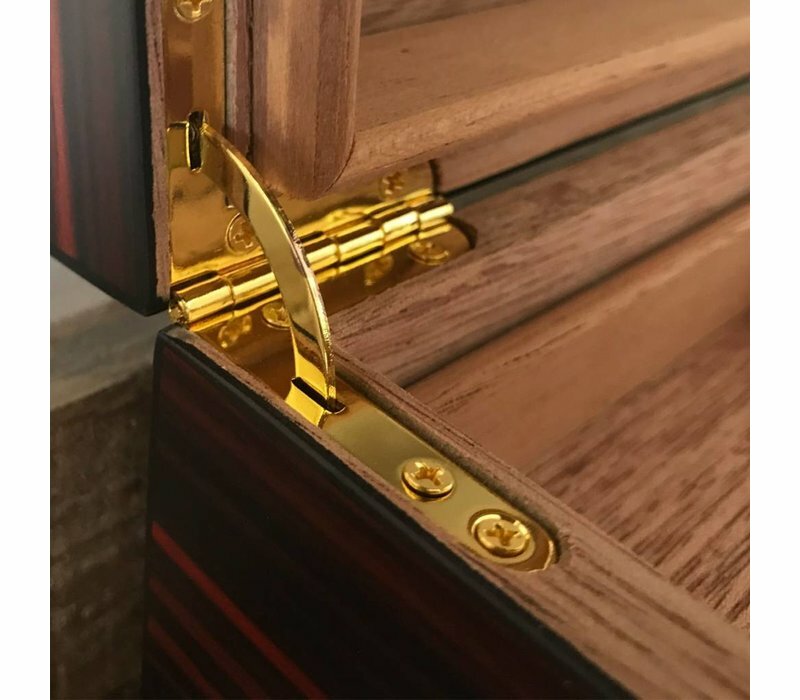 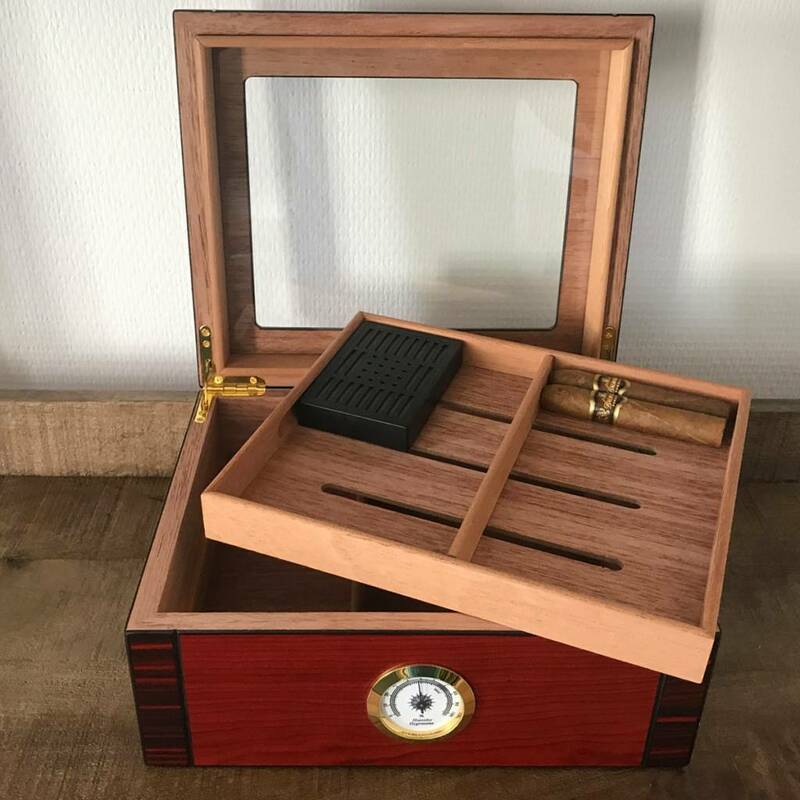 The humidor inside is made out of unvarnished Spanish cedar. 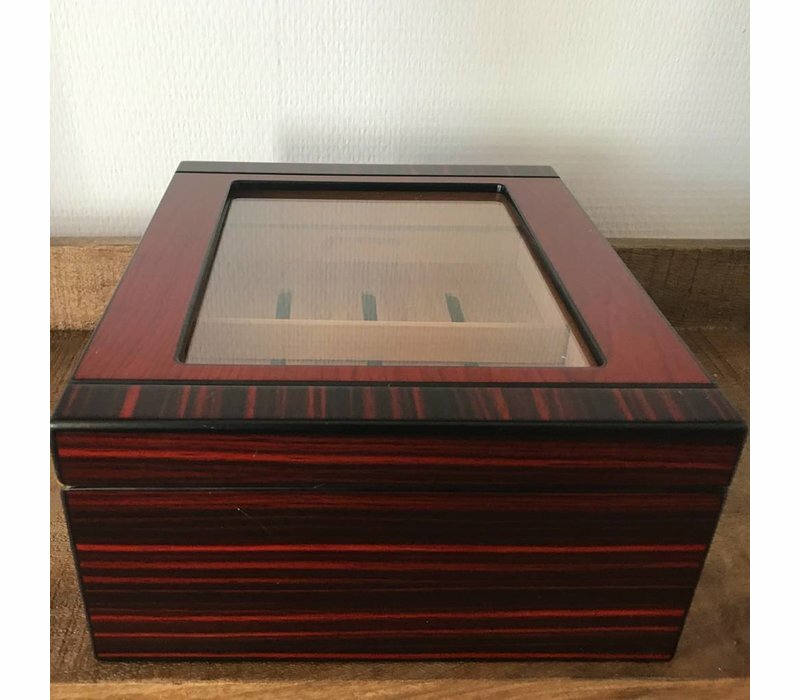 Includes ceder tray and seperator. Very nice exterior of cherry wood. Built-in hygrometer on the front of the humidor.